Zone X Productions Review 2019: Is Zone X Productions a Good Hosting? Zone X Productions is an Atlanta based digital marketing company that offers corporate branding, marketing, and web hosting solutions. Zone X Productions was founded in the year 2007 by a diverse and multi-disciplinary team of software and systems engineers and marketing professionals. It offers end-to-end web solutions that cater to individuals, small businesses, startups, and large corporations exclusively in English. The beginner-friendly custom control panel allows anyone to create and manage their website with an average of 10 minutes and no prior technical knowledge. Some of the free control panels include uCoz for creating personal websites, uKit for creating business websites and uLanding for creating landing pages. These modern website builders allow for drag-and-drop use so that beginners will have an easier time using them. However, you could also opt to place an order for a turnkey website by Divly at a fee. Zone X Productions also offers free domain registration and has a variety of domains to choose from, so you’re sure to get the option that’s best for you. Additionally, you also get a logo, customer support, graphic design, over 10 pages, a blog, and mobile device compatibility. Zone X Productions features pre-installed scripts, which most beginners will find helpful. For e-commerce purposes, Zone X Productions has designed specific solutions that feature the use of WooCommerce for both large and small businesses. Given its simplicity, one will have an easy time customizing and selling online. Zone X Productions offers convenient and affordable web hosting solutions. Interestingly enough, it offers one-off payments for its web hosting plans with no monthly contracts whatsoever. However, it does not give you any uptime guarantee, money-back guarantee, free SSL certificates, or a free trial period to test the services before purchasing a package. On the bright side, you will get free domain registration and offers are displayed where if you are lucky, you could possibly land absolutely free web hosting services i.e., if you get the website advertisement package. Both of these offers are displayed clearly on the website, however I was unable to reach support for further details. The company does not have 24/7 customer support but does have a variety of support channels that you can use. These include phone support, email, and a ticketing system. Despite it actively advertising “We reply within a few minutes” I found it to be quite the opposite. 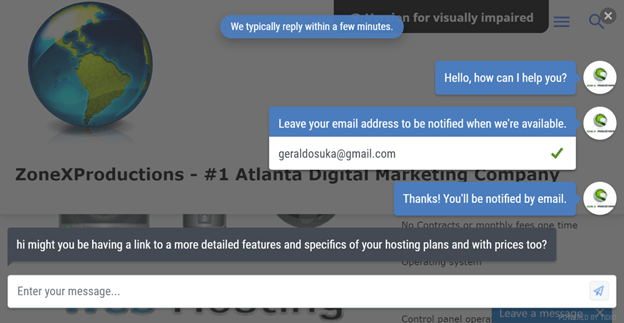 I tested the ticket support by inquiring for more information on the hosting plan but haven’t received any response after waiting more than three business days. However, since there are no complaints online from their customer reviews, it’s possible that phone support is more convenient and widely preferred. Zone X Productions is great at providing one-off hosting services and also digitally marketing your brand and business. Get your website marketed and hosted by Zone X Productions! 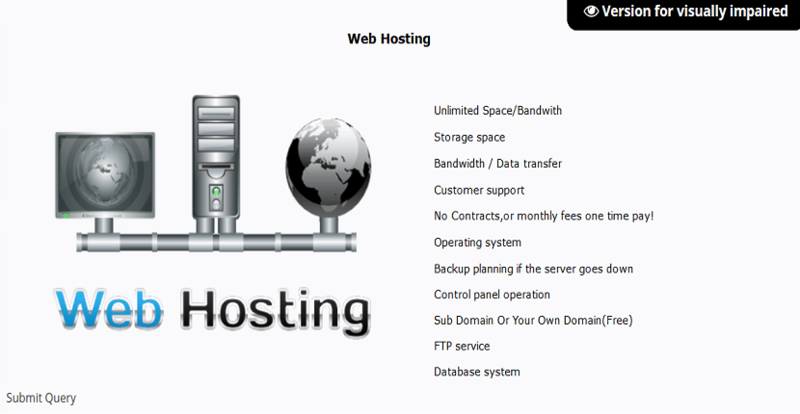 Wondering how Zone X Productions stacks up against other Web Hosting companies? Enter any other Web Hosting company and we will give you a side-by-side comparison.